Page added in March 2018. Photos taken in February/ March 2016 and April 2017. In my plan of inquiry, an investigation of the soil, cultivation, government, commerce, and manners of that kingdom, was to be the grand primary object; but what I was more confident of my strength in, and what I found more suitable to my inclinations, was the study of its antiquities, especially the Moorish. Henry Swinburne - Travels through Spain in the Years 1775 and 1776 in which several monuments of Roman and Moorish architecture are illustrated. Swinburne (1743-1803) spent many years in France and Italy before deciding to visit Spain, a country which did not attract many Grand Tour travellers. Similar to Swinburne's approach, this section focuses on the Roman and Moorish monuments of Spain; the masterpieces of Spanish architecture, painting and sculpture are covered only incidentally in order to complete the historic profile of a location or are the object of a separate page in another section, e.g. La Granja de San Ildefonso, a royal countryside palace near Segovia. The prehistoric cultures which have been identified in the Iberian peninsula share many aspects with those of France and Central Europe. The Pyrenees were not an obstacle to the passage of human beings, first Neanderthals and then modern men. Gibraltar was perhaps the last site where Neanderthals lived, something which suggests that the strait between Spain and Africa was a natural barrier. 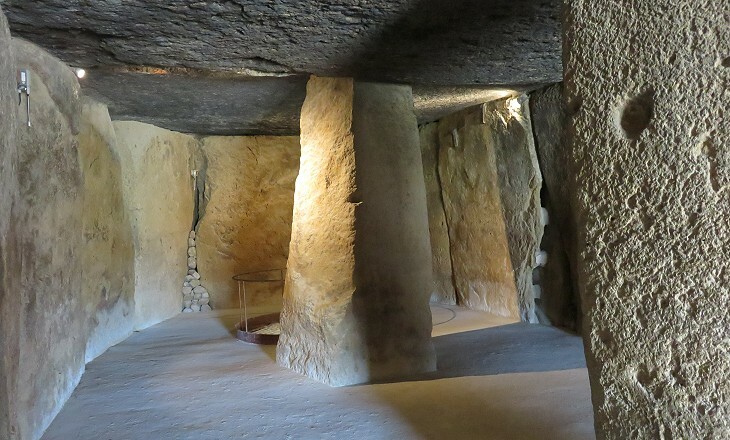 The megalithic monuments of Antequera in Andalusia testify to the high technical skills acquired by local cultures in positioning large boulders to create funerary chambers inside tumuli, circular mounds similar to those at Myceneae. In the XIth century BC the first Phoenicians began to sail along the Mediterranean coasts of the Iberian peninsula. They came from Africa and they established a series of trading posts; they eventually crossed the Strait of Gibraltar and founded Cadiz, a port on the Atlantic Ocean. Greek settlers came much later and from southern France where the Phocese had a colony at Marseille. 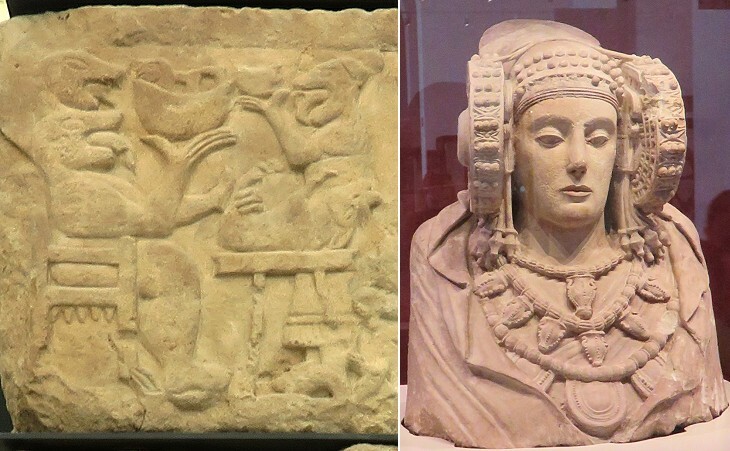 Phoenicians and Greeks occupied only narrow coastal territories, but reliefs and statues found in inland areas show the influence of Eastern Mediterranean art which was conveyed by the Phoenicians (Pozo Moro - see a similar Hittite relief at Karatepe) and of Greek art (Elche). 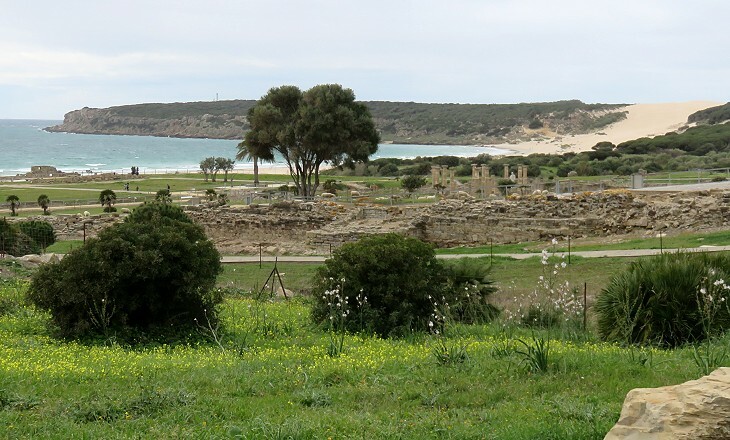 During the VIth century BC Carthage, a Phoenician port near today's Tunis, became the predominant maritime power of the Western Mediterranean and established its hegemony over the other Phoenician towns in Spain. Dum Romae consulitur, Saguntum expugnatur (Whilst in Rome they discuss, Saguntum is taken). This maxim is adapted from a passage by Livy: During these proceedings in Rome the siege of Saguntum was being pressed with the utmost vigour. That city was by far the most wealthy of all beyond the Ebro; it was situated about a mile from the sea. It is said to have been founded by settlers from the island of Zacynthus. Ab Urbe Condita Libri - Book XXI - translation by Rev. Canon Roberts. In 219 BC the Carthaginian conquest of Saguntum, an ally of Rome, was the first episode of the Second Punic War. In 215 the Romans conquered back Saguntum and in 206 they defeated the Carthaginians at Ilipa near Seville forcing them to abandon Spain including Cadiz. During the war some of the local chiefs stood on the Carthaginian side and thus their territories were occupied by the Romans. In 196 the Romans established the provinces of Hispania Citerior (Nearer), which roughly included the historical regions of Catalonia, Aragon, Valencia and Murcia, and Hispania Ulterior (Farther), today's Andalusia. The two provinces did not have land contact with the rest of the Roman territories until 121 when the province of Gallia Narbonensis was created in Southern France and Via Domitia, a road from the Alps to the Pyrenees was opened. 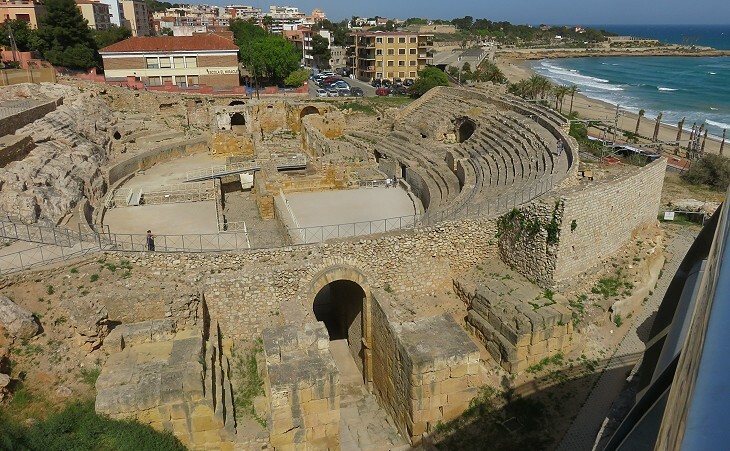 This development increased the importance of Tarraco (Tarragona), a port in Catalonia. In 27 BC the Roman presence in Spain was reorganized and Hispania Tarraconensis replaced Hispania Citerior. Merida is the Rome of Spain in respect of stupendous monuments of antiquity - at every step we tread on some vestige of the past. (..) Outside the town is the theatre, called "Las Siete Sillas", from the seven divisions of the seats: it is also almost perfect, nothing is wanting but the proscenium. Richard Ford - A Handbook for Travellers in Spain - 1855. The 1845 edition was the first modern guidebook of Spain; its consultation is very helpful for assessing the extent to which ancient monuments have been reconstructed. Emperor Augustus promoted a series of military campaigns in order to extend the Roman rule to the whole peninsula. In 25 BC he founded Colonia Iulia Augusta Emerita (Merida) for the veterans who had fought in the northern part of Spain. In 15 BC the town was detached from Hispania Ulterior (which was renamed Baetica after Baetis, the Latin name of the River Guadalquivir) and it became the capital of Lusitania, a third Roman province which included Extremadura and most of Portugal. The province of Baetica was the major supplier of olive oil to Rome. The testae (jars) which contained the oil could not be reused and they were systematically broken and piled in a discharge (Mons Testaceum) near the river harbour of Rome. Because the testae were marked by their manufacturer it has been possible to identify the origin of the oil. 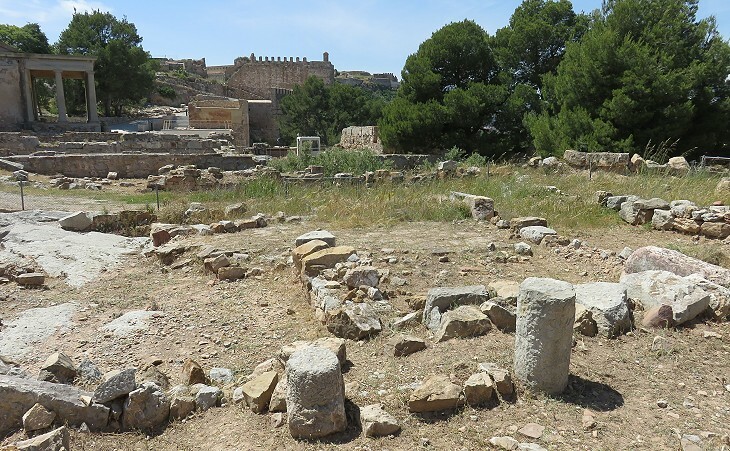 Baelo Claudia, in addition to olive oil, exported garum, a fish sauce which was produced in a factory by the sea. In Spain the Romans built roads, embankments, bridges, harbours, lighthouses, aqueducts and other key infrastructures in which they showed the full array of their construction techniques. 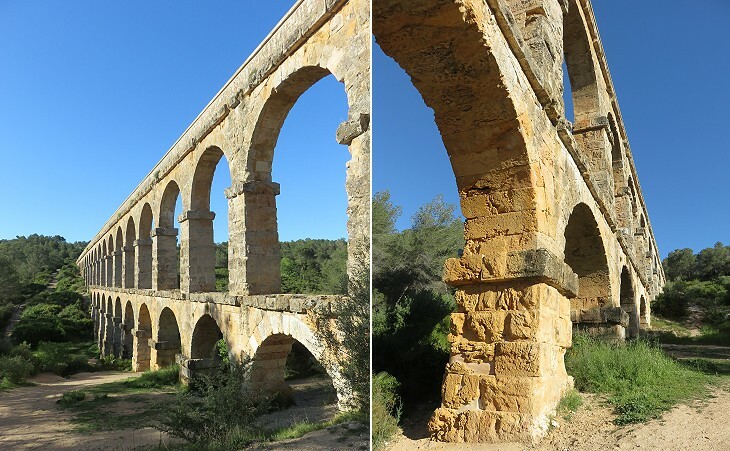 The Romans founded many of today's towns of Spain. Their legal status varied, but some of them were regarded as a distant neighbourhood of Rome itself. 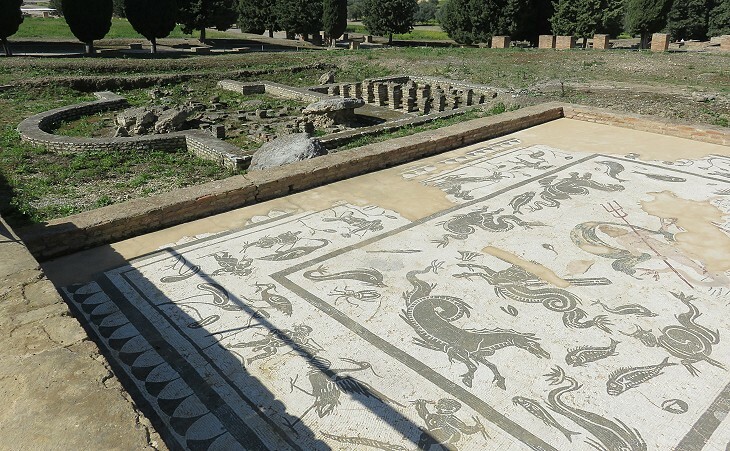 Italica was founded in ca 206 BC by Scipio and its first inhabitants were veterans from Italy. 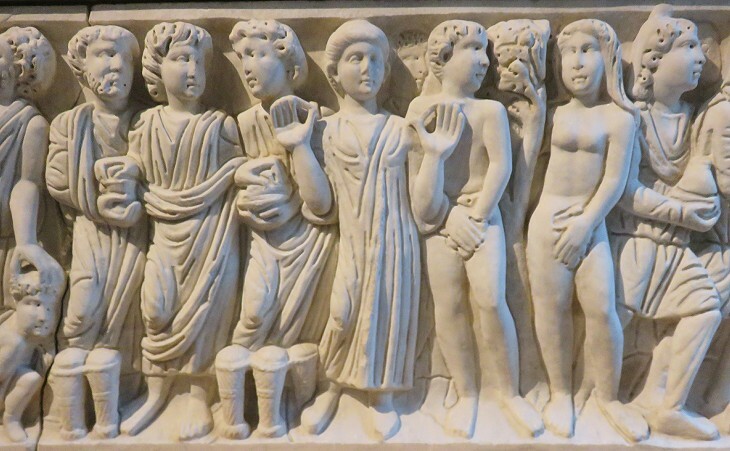 Many of them had Roman citizenship which they passed on to their heirs. Emperors Trajan and Hadrian were born at Italica out of families of Roman origin and the latter renamed it Colonia Aelia Augusta (Venerable Colony of Aelius, his first name). They were the first emperors not to be born in Italy. 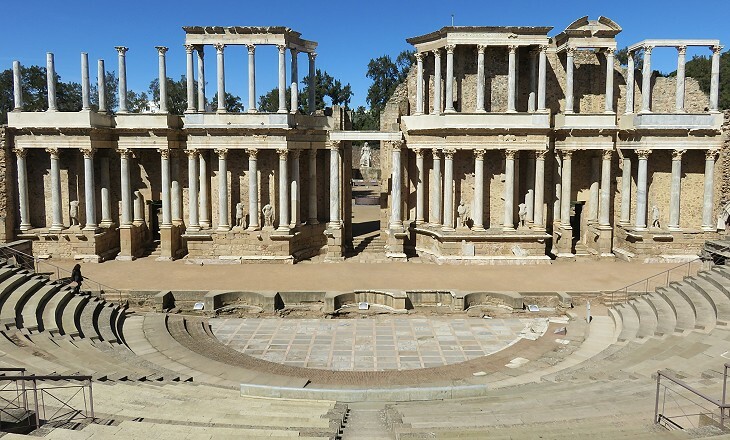 All the largest Roman towns in Spain had facilities such as theatres, amphitheatres and circuses where the inhabitants could spend their leisure time. 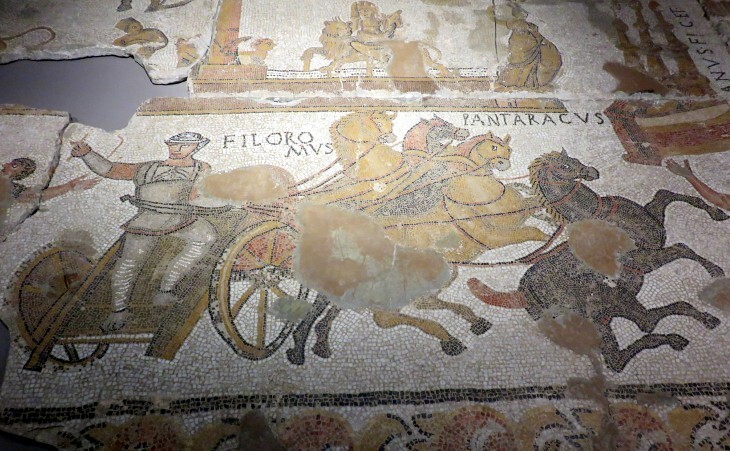 Based on the number of mosaics depicting races in the Circus Maximus of Rome which have been found in Spain one can assume that this was the most popular event. 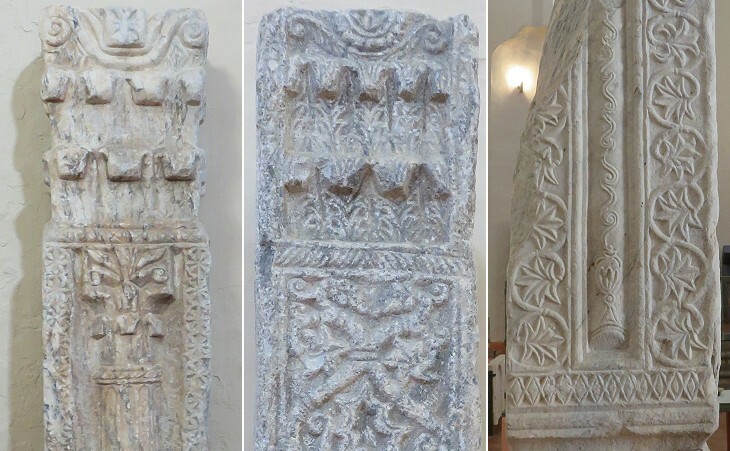 In the early IVth century a synod of 19 bishops was held at Elvira (near Granada) to discuss Christian conduct towards state institutions, public games and Jews. One of its canons forbade Christians from holding the office of flamen, a magistrate in charge of the celebrations in honour of the Emperors. The exact date of the synod is uncertain: either before the persecution ordered by Emperor Diocletian in 303 or some time after it. 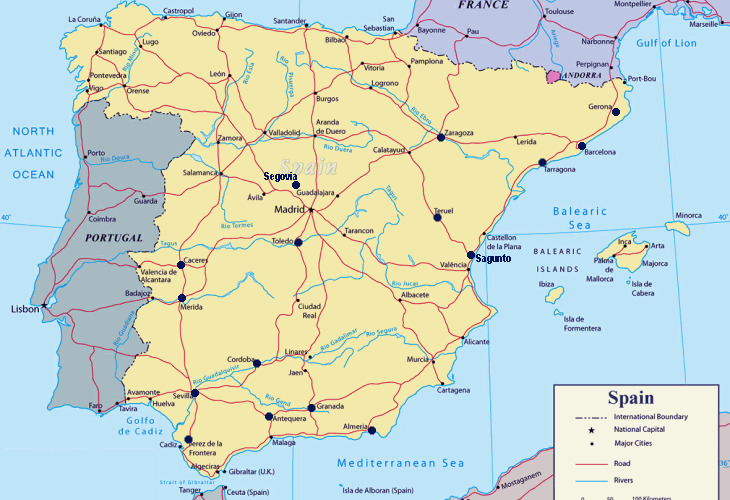 The synod indicates the wide diffusion of the Christian faith in Spain at that time although evidence of early Christian churches and works of art is rather limited. In 379 Theodosius, who was born at Cauca (Coca) in Castile, became Eastern Roman Emperor and in 392 the sole ruler. Already cracks were visible in the military and political structure of the Empire, although they initially did not impact on Spain. In 406 tribes of Suebi, Alans and Vandals broke the Roman fortified lines along the Rhine and penetrated into Gaul. The Suebi went further south; they crossed the Pyrenees and established a kingdom in north-western Spain. 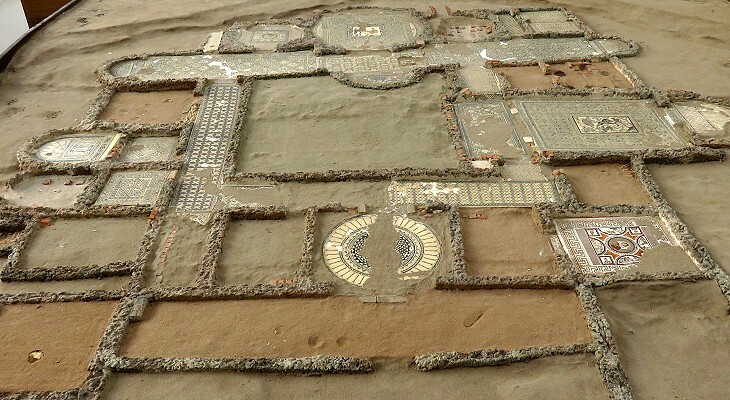 The Vandals followed them and settled in Baetica which was eventually named Andalusia after them. In 429 they moved to Africa and conquered Carthage. Emperor Honorius tried to utilize the Visigoths to expel the Suebi and the Vandals from Spain. As a matter of fact this decision allowed the Visigoths to establish a kingdom in southern France in 418 which eventually included most of Spain, but not the territory conquered by the Suebi. In 552 at the time of Emperor Justinian, a Byzantine army conquered most of Andalusia, but the Visigoths gradually conquered it back and by 624 the Byzantines retained only the Balearic Islands. In ca 580 Toledo became the capital of the kingdom, which however did not have a centralized structure. In the VIIth century the Visigoths managed to control the whole Iberian peninsula, but their rule was plagued by civil wars which in part originated from the fact that the king was elected. Move to the introductory page on Moorish Spain.